Security breaches from malware attacks can cause extensive tangible and intangible damage to a company, all of which is expensive to repair. Fortunately, we can take away valuable lessons on how to protect against them from those who have experienced these destructive software programs firsthand. Using an Adobe Flash Update as the cloak, Bad Rabbit is a ransomware virus that hit Ukraine and Eastern Europe in late October. According to Naked Security, the malware infiltrates files on the computer system using a list of usernames and passwords buried within the software. These credentials include passwords derived from a worst passwords list. The malware then encrypts files on a computer, rendering them inaccessible unless they pay a specific amount. The moral of this malware story? From personal computers to enterprise security systems, passwords are a critical part of protecting against cyberattacks of all kinds. Make sure your passwords are strong and change them on a regular basis. To further guard your data, consider using a two-tier authentication process when accessing protected files. There are a few lessons to be taken away from Cloudbleed. 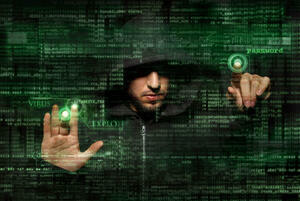 One of the most obvious is that no one is immune to cyberattacks and malware. With proper updates, patches and security measures, however, you can prevent your enterprise from becoming the victim of attacks like this. As technology evolves so will the cybersecurity threats; it’s important you take every precaution to safeguard your valuable information from getting into the wrong hands. Want to know where you can improve your enterprise security measures to protect against any potential cyberattacks in the future? 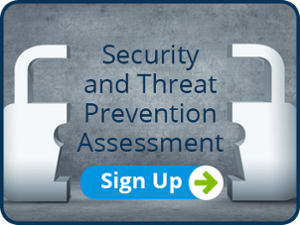 Contact WEI today for a comprehensive security and threat prevention assessment.